Construction on the new St. Ann School in Voldrogue continues to move ahead well. 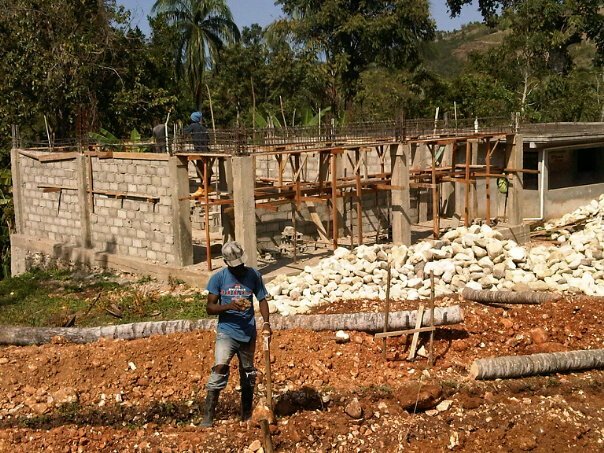 Work on the roof of the Preschool building is moving ahead, the Administration building’s walls are complete and the foundations are being built for the six primary school classrooms. The workers had to dig through nearly solid rock for a portion of the foundation. At this rate, the school will be complete in plenty of time for the new school year in September. You can keep up on construction progress on our website and by a becoming the friend of Zanmi Sassier on Facebook.